Although their complete history remains unclear, the Welsh Terrier originated from Wales and is one of the oldest Terrier breeds to date. This breed was once known as the Old English Terrier because they lived in many parts of England throughout the 19th century. Throughout this period, the Welsh Terrier served as an excellent hunter of small game including otters, foxes, and vermin. By 1888, this breed finally made it’s way to the United States where they slowly gained popularity throughout the country. Today, The Welsh Terrier makes for an excellent companion in any household due to their playful and loyal personalities. The joyful and spunky attitude of the Welsh Terrier is infectious and loved by all. These dogs enjoy a good time and are always seeking an opportunity to have a little fun. They also love to entertain the family and will try to be the center of attention whenever possible. Although these pups have several endearing qualities, they can also be very independent at times. This can make training efforts more difficult than the average breed and that’s why it’s important to start the training process as young as possible. When it comes time for training, make sure to keep your Welsh Terrier engaged and entertained throughout the entire training process. Whatever you do, do not use repetition as your main strategy, this will make your dog bored and uninterested. These dogs need constant mental stimulation, which can be acquired through challenging training practices or physical. Once you have been able to get your dog to respect you, he will be capable of learning any trick in no time at all. Lastly, always use patience and positive reinforcement to encourage good behavior with your Welsh Terrier. Expect to give your Welsh Terrier vigorous exercise every single day to keep his rambunctious energy levels at bay. Whether it be jogging, hiking, or agility coursing, the Welsh Terrier can do it all and will do it well. Make sure to switch up your pups exercise every so often in order to prevent boredom from setting in. If your Welsh Terrier does not receive enough exercise, he may develop destructive behaviors around the house. The average lifespan of the Welsh Terrier is between 10 to 14 years. Today, the Welsh Terrier is ranked as the 111th most popular breed out of 202 registered breeds by the American Kennel Club. 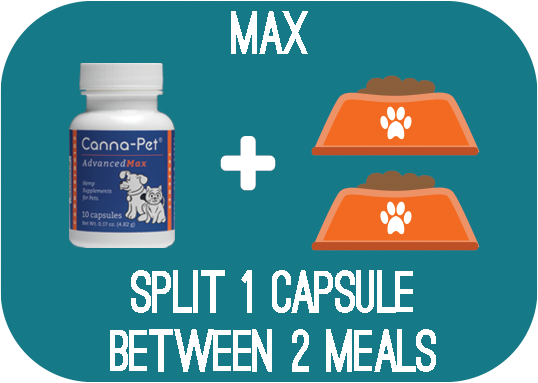 Professionals recommend feeding your Welsh Terrier ¾ to 1 cup of high-quality food a day, split into two equal meals. Keep in mind however that not all dogs are created equally. That means it’s important to consider the dog’s age, size, metabolism, and activity level before deciding on his specific feeding regimen. For professional assistance, consult with your veterinarian. The thick double-coat of the Welsh Terrier is waterproof and has minimal shedding. Frequent brushing is a must to keep their rough outer coat free of mats and in good condition. If you do not clip their coat, then they will need to be hand stripped several times a year which can be a tedious task for inexperienced owners. Aside from their coat grooming, make sure to check their ears, eyes, and nose for any sign of redness, infection, or irritation. It is also important to trim their nails every couple of weeks if they do not wear down naturally on their own. Generally, if you can hear their nails tapping on the hardwood floor that means it’s time for a trim. Are Welsh Terriers Good With Kids? As long as the Welsh Terrier has been raised with children, they can be an excellent companion for any child. Their playful and gentle personality pairs perfectly for rowdy children and they are a sturdy enough to avoid accidental injury. Epilepsy: Canine epilepsy causes seizures to occur in dogs. These seizures can be triggered by a number of different variables including trauma, brain tumors, or disease. Once Epilepsy has been properly diagnosed, a veterinarian will prescribe medication to mitigate the symptoms. Hypothyroidism: Hypothyroidism is a common health problem that affects many dogs. This occurs when the body is unable to produce a sufficient amount of thyroid hormones. When this happens, the dog may experience weight gain, lethargy, or a number of different symptoms.